Ncongo Jammin featuring Carlos Lamartine, Femmouzes T, Canzionere Grecanico Salentino, Los Chicharrons, Ogidi Inwelu Lazy flow remix and more. On this edition of Guava Beats, Joëlle is solo in the studio, spinning tracks from all over , including Italy, Colombia and Syria. A dash of Mongolian hip-hop and Mongolian Bling. 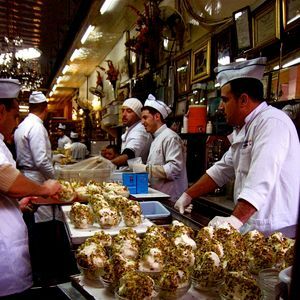 Ice cream parlours in Syria, are the back drop for this weeks Guava Go-Go to Syria and a sensational remix of traditional Chinese sounds provides out world-wind-down! We&apos;ll be dropping in on Haiti&apos;s latest music scene next week... Let us know what you want to hear, we love your input! Very cool global bass podcast!